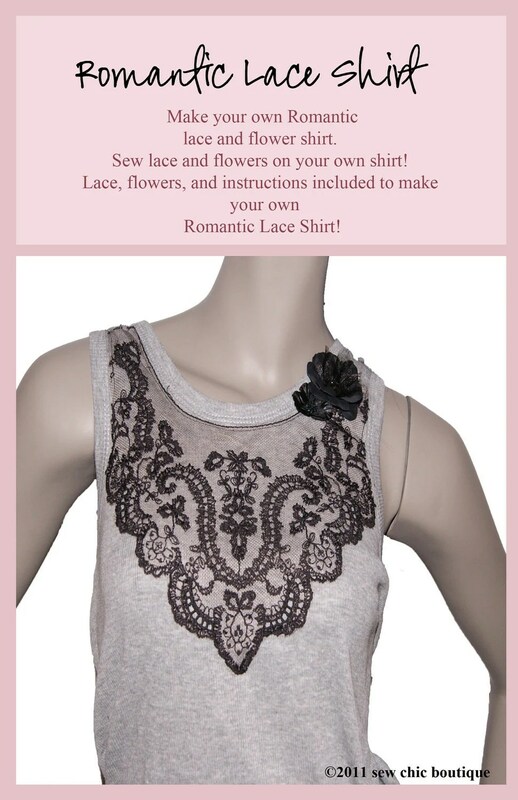 Now you can make your own DIY Romantic Shirt with the latest kit from sew chic boutique. 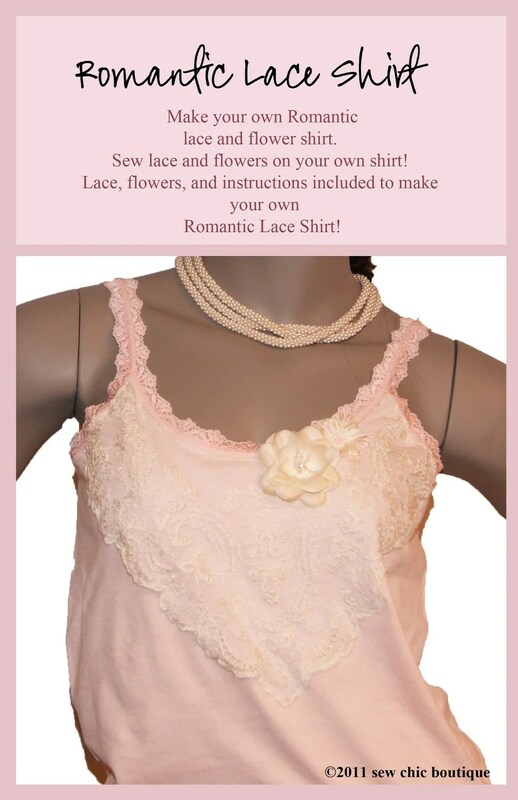 This shirt kit allows you to have the latest trend of laceand flower accented tank top or t-shirt for a fraction of the store price. This is a kit for an beginning (knows basic machine sewing) to advanced sewer. More lace applique kits will be available Fall 2011!